Dec (J2000): +33 degrees 24' 43"
The constellation Auriga is host to a wide swath of Ha emission nebulae visible during the winter in the Northern Hemisphere, including IC405 (Flaming Star Nebula), IC 410, IC 417, and NGC1931 shown above. Also shown at the bottom edge, just to the right of center, is the star cluster NGC1912. IC405 is the statuesque nebula located in the upper left quadrant, IC410 is located in the upper right quadrant, and IC417 is located in the lower right quadrant. Please check the larger sized images in the links above (especially the cropped views) for more detail. 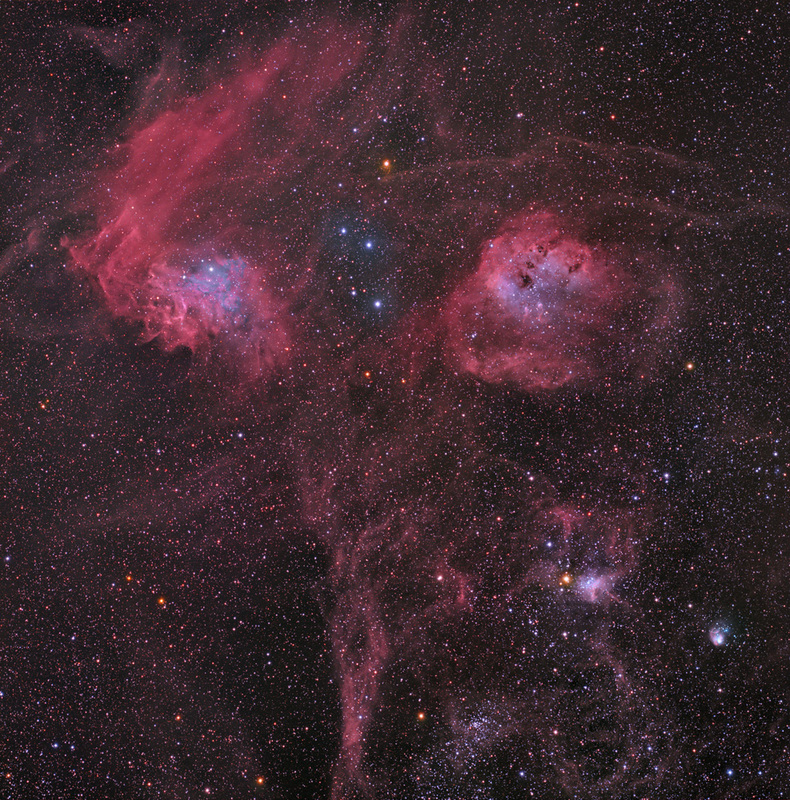 More information about this interesting region, including the origin of the star AE Auriga that is responsible for the blue reflection component of IC405, can be found on Rob Gendler's site as well as on the APOD site.